Want to help cats but can’t adopt or think you don’t have the time or money? Trap-Neuter-Return (TNR) is a simple yet impactful way to save feline lives. Recently, natural disasters have mobilized animal-loving citizens across the country. That’s epic, but there are cats in every community that need help every day. Feral cats, aka “community cats,” are those un-owned cats who do not want to live indoors but depend on people nonetheless. From Florida to California, and everywhere in between, community cats rely on Trap-Neuter-Return (TNR) volunteers. 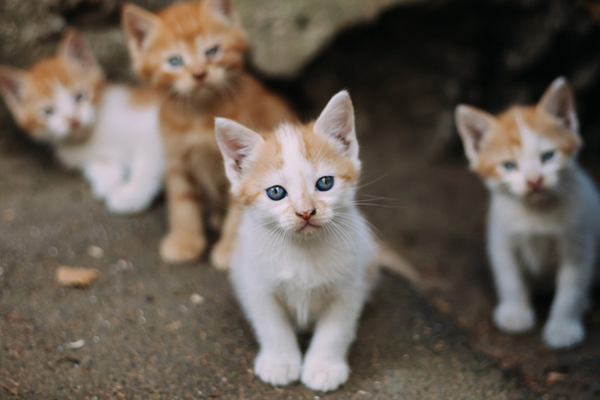 TNR helps these community cats in a variety of ways: preventing overpopulation by spaying and neutering, providing food/water/medical services, providing shelters, reducing nuisance calls to animal control and, ultimately, keeping cats out of the shelter system. True feral cats are not socialized with people and are unable to be adopted into loving homes. Over 850,000 cats are still dying in shelters each year, many of them community cats. Getting involved in TNR is the best way to help cats and people. And guess what? It’s easier to get involved in TNR than you think. Gary Haun feels gaining the trust of feral cats is the most rewarding part of TNR. Photography courtesy Gary Haun. In 2009, Gary Haun of Tampa, Florida, heard a knock on his door. It was a Humane Society of Tampa Bay’s TNR trapper asking if he could help round up the cats in his neighborhood. “They saw my cat and thought I might be helpful.” He helped get Nicki, a tuxedo kitten, neutered and adopted. Haun also helped 17 other cats whom he looked after as a colony, supplying food, water and even additional TNR, when more cats showed up. 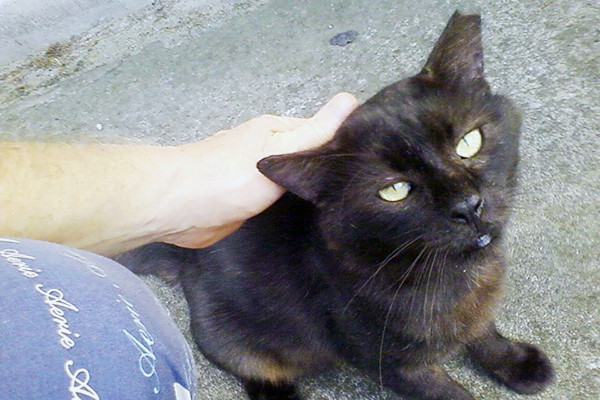 Gary finds the moment when a feral cat accepts a loving touch as the greatest reward of TNR. Joe Federico of Los Angeles, California, got involved in a similar fashion. While his neighbor was remodeling a shed, 16 unfixed cats suddenly showed up in his backyard. Someone called FixNation and Joe worked with the TNR organization to get all the cats fixed. “It took four weeks to get them under control,” says Federico. 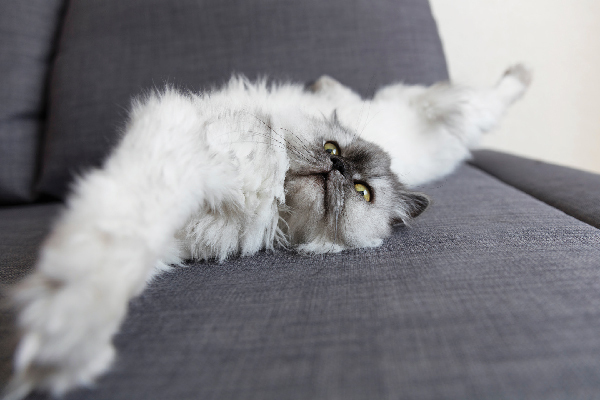 “The whole process was so positive — the veterinarians, the vet techs and all the volunteers came together to help.” After his group of cats were fixed, he became a volunteer with FixNation full time. 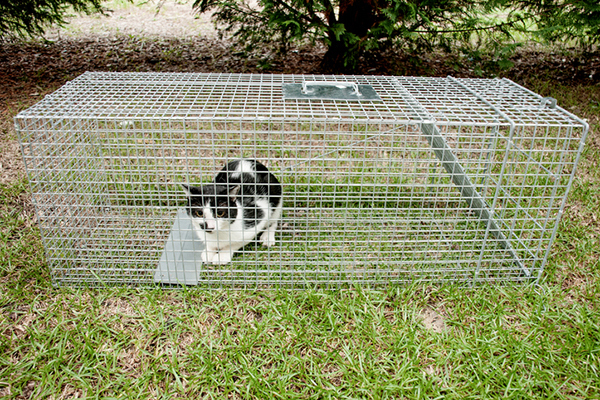 Part of TNR involves the pain-free experience of trapping feral cats in humane traps. Photography by robeo/Thinkstock. See a cat who needs your help? Feed him in the afternoon and evenings. Contact your local TNR organization (it will supply training, traps and resources). Make a spay or neuter appointment. Set the trap with food and wait until the cat is trapped. Hold the cat overnight for the next day’s surgery. Get that cat fixed. Hold the cat one more night for recovery. Return the cat to where you trapped him. It’s that simple. To find TNR support and volunteer opportunities in your community, check out the Feral Friends Network from Alley Cat Allies. The Humane Society of the United States also has a comprehensive state-by-state list of local organizations. There are many individuals and organizations dedicated to TNR, and they need your help! 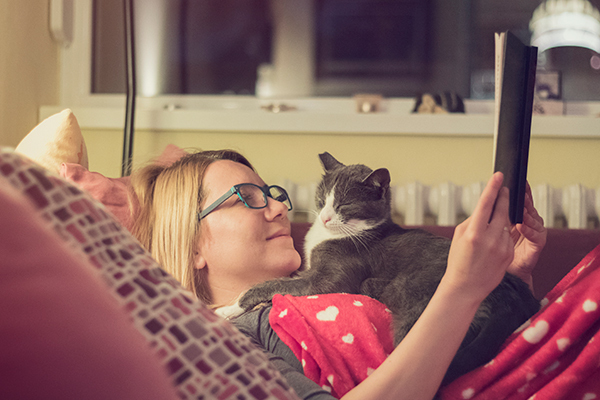 Whether you have just a few extra hours per week or a lot of time on your hands, TNR is a great way to help save cats’ lives and feel great about doing it. TNR is all about helping people and cats, one happy cat camper at a time. Met the most amazing cat angel woman, late 2018. Beginning 2019, we were off, TNRing away! My neighborhood had community cats from deaths of three people. Family dealt with dogs, but the cats were let out to figure it out. So mean. Our city shelter betrayed our trust. We left the County to run it by city. Every cat they got the first year, they euthanized. So we were not going to do that. These poor cats. No fault of their own, some fixed, some not. For two years we, 9 in the neighborhood, fed them, made sure they had water. Then we realized after reading an article and sharing it, we needed to be feeders, not breeders. About 2 weeks after that I fortuitously met angel Yvette. We have now done TNR to most all cats. Every 2 weeks, we TNR’d. It is so amazing how much better the whole colony is. They aren’t hormonal, spastic, fighting, running scared. Now we can simply feed them and keep an eye on them. This is such a great solution. We have a lot of fruit trees. These are homes from the 50s. We see no nasty rats. A plus. Most importantly, lives were saved. It’s a great peace of mind that we are not contributing to more kitties being born when so many need homes. Our neighborhood was blessed by this! Thank you whomever came up with this in the first place and to organizations, like FixNation, who have no idea what a huge big wonderful this is to our neighborhood. Thank you. I am a trapper and a Feral Friends Network Volunteer and offer traps and free TNR appt through one of our local shelters. TNR works. This year alone we’ve TNR’d 255 cats and have rehomed ovr 65 kittens/cats . TNR is the right thing to do. It’s a problem when cat rescuers take cats away from their owner just because they think it’s a good idea. Permission needs to be given, and owners’ rights need to remain intact at all times. It’s dangerous for volunteers to think that they can persuade an owner to ‘surrender’ their animals. 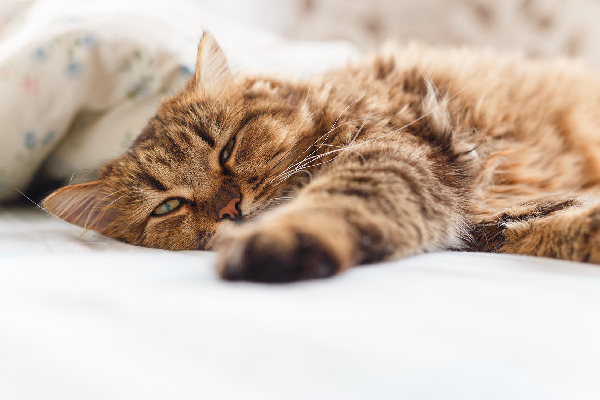 All cats should be returned to the exact place where found and returned to their owners. This is not always done by overtaxed volunteers. Great article! We haven’t had a kitten in our three alleys in Washington, DC in four years — since we completed TNRing all our community cats. TNR works! 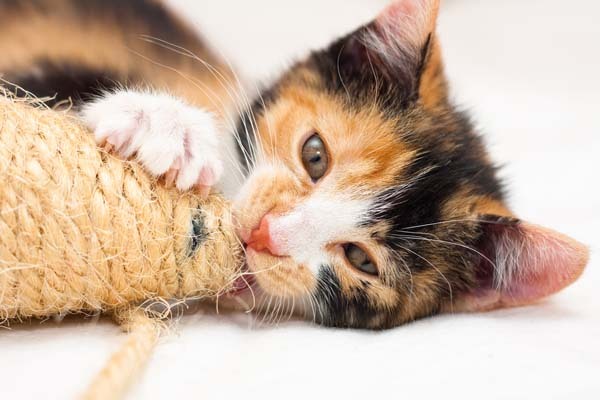 It reduces the free roaming cat population and improves cats’ quality of life.